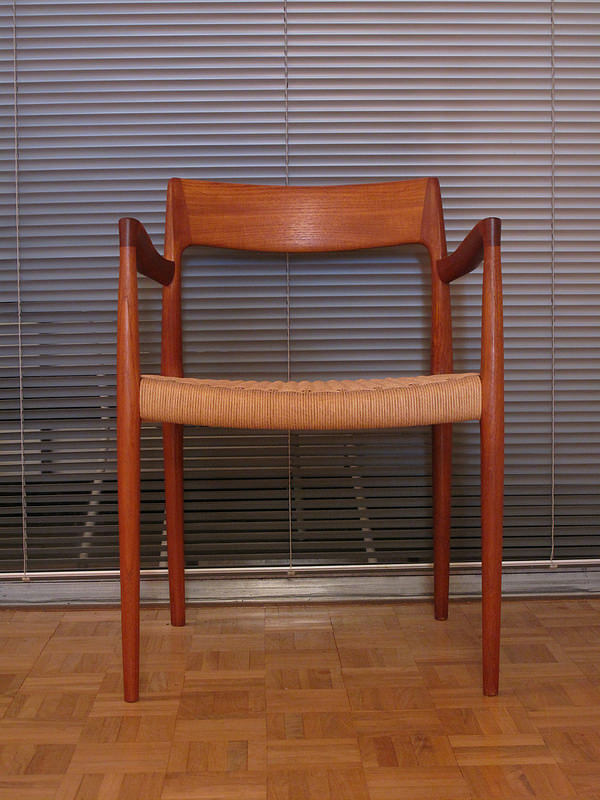 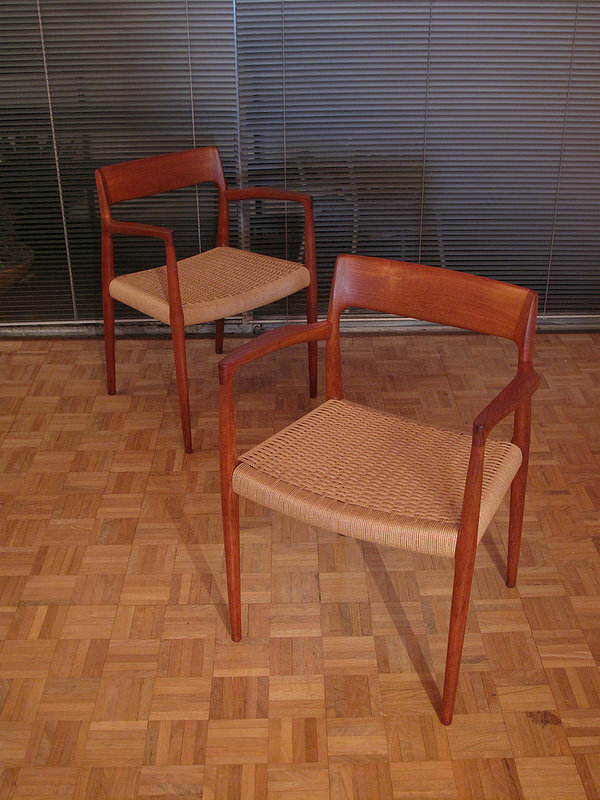 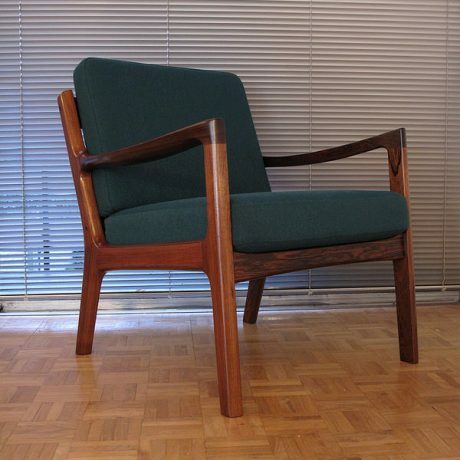 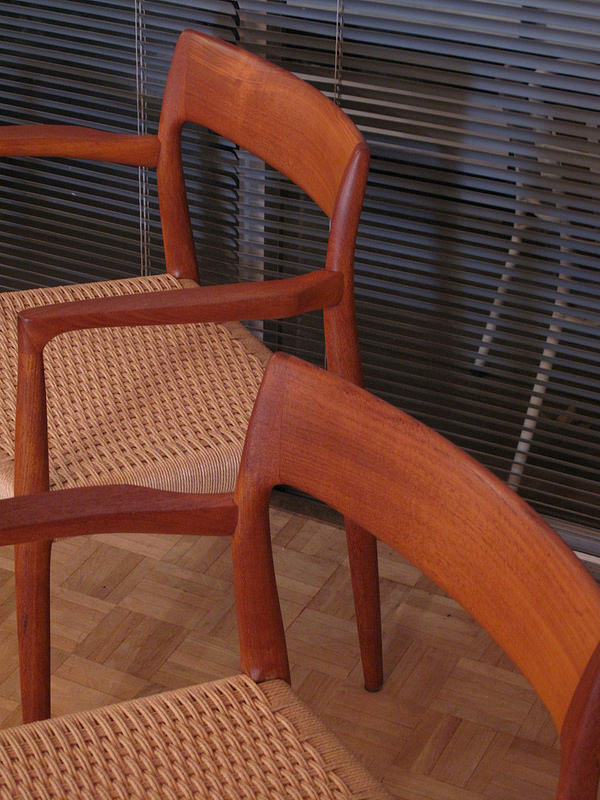 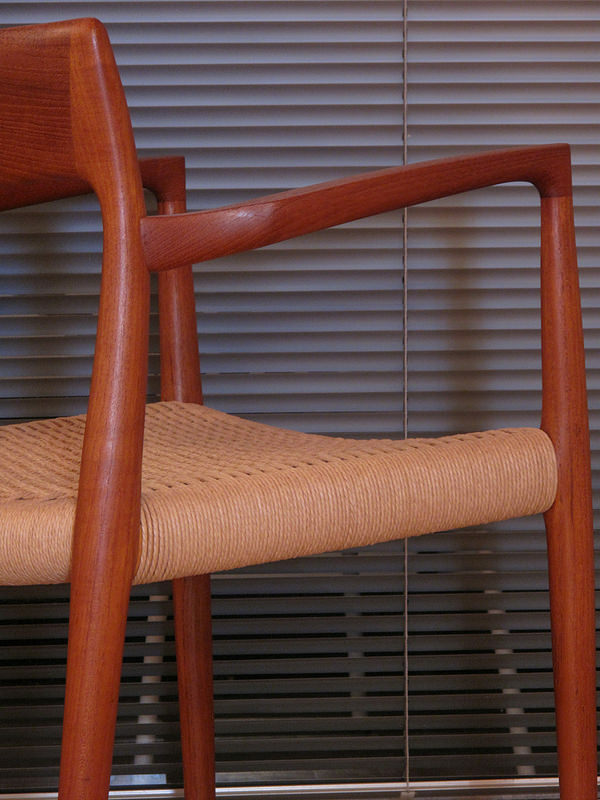 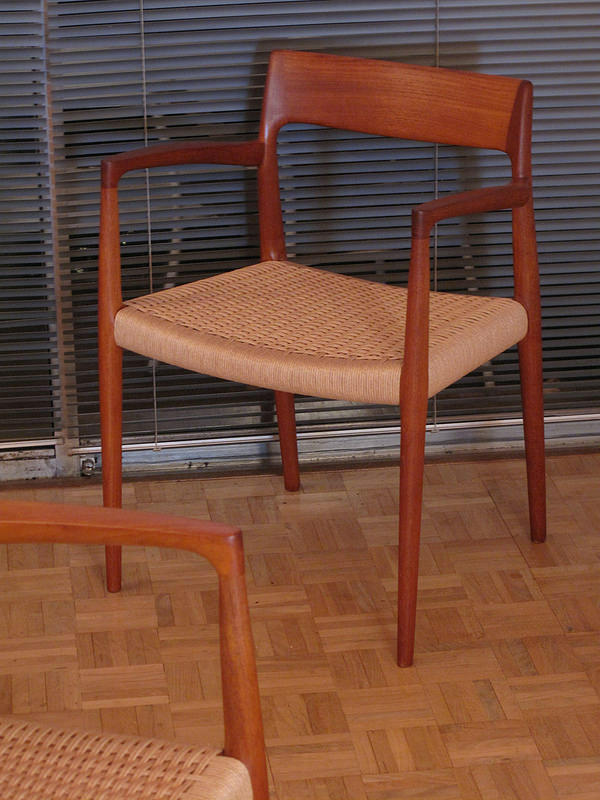 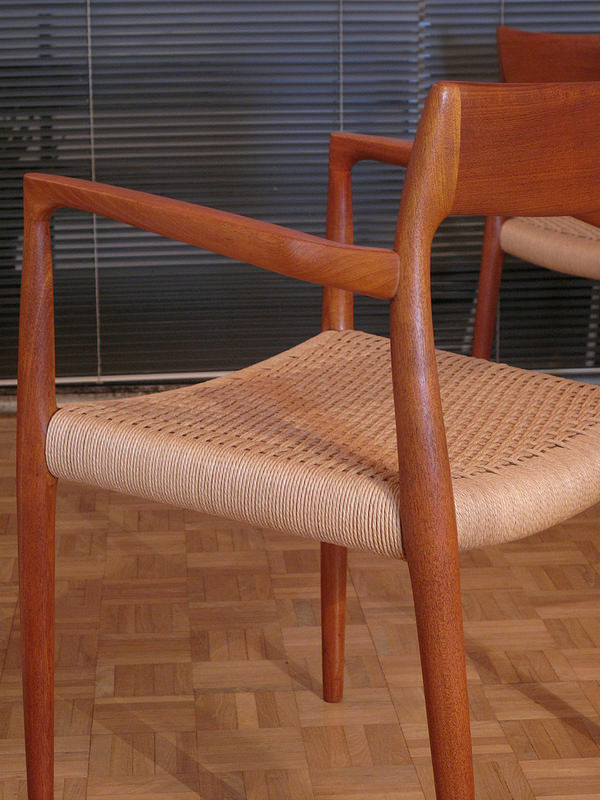 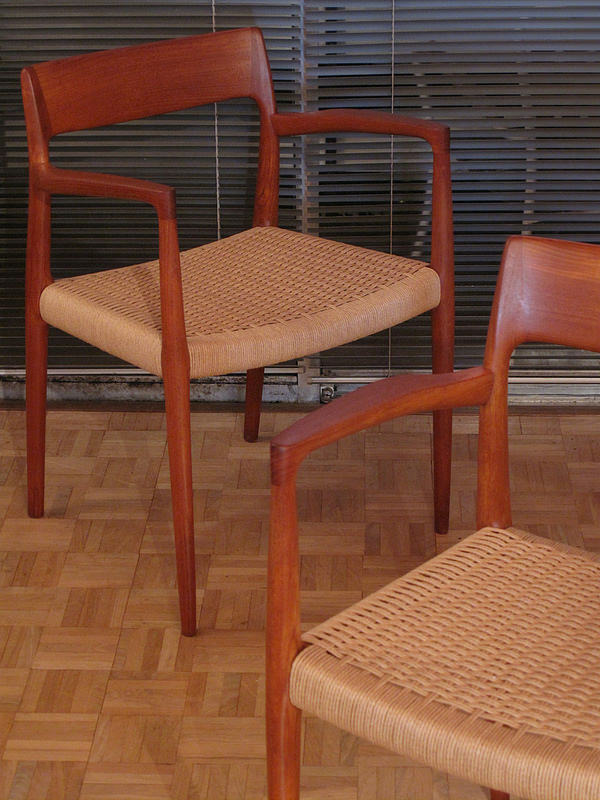 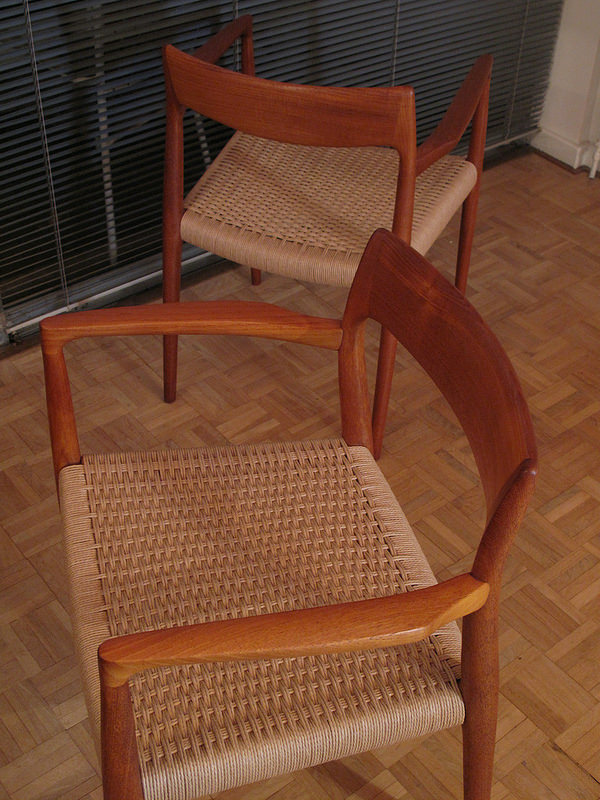 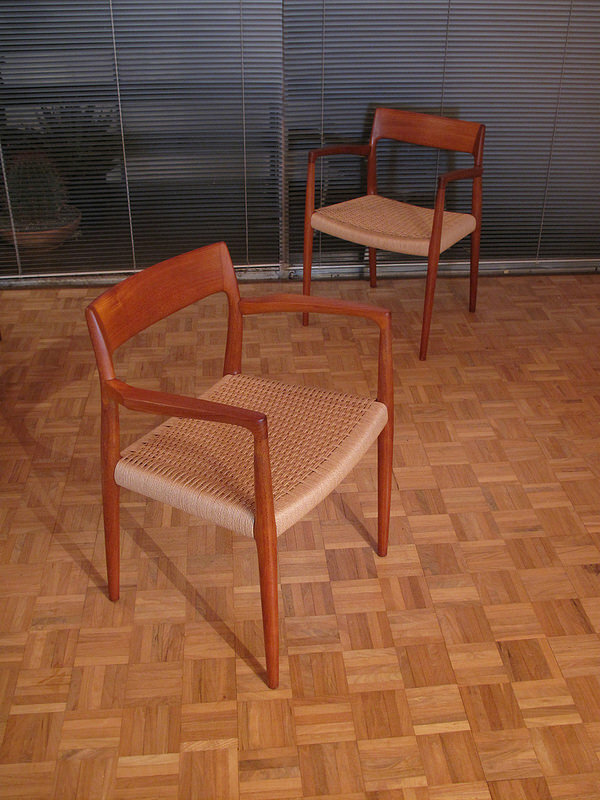 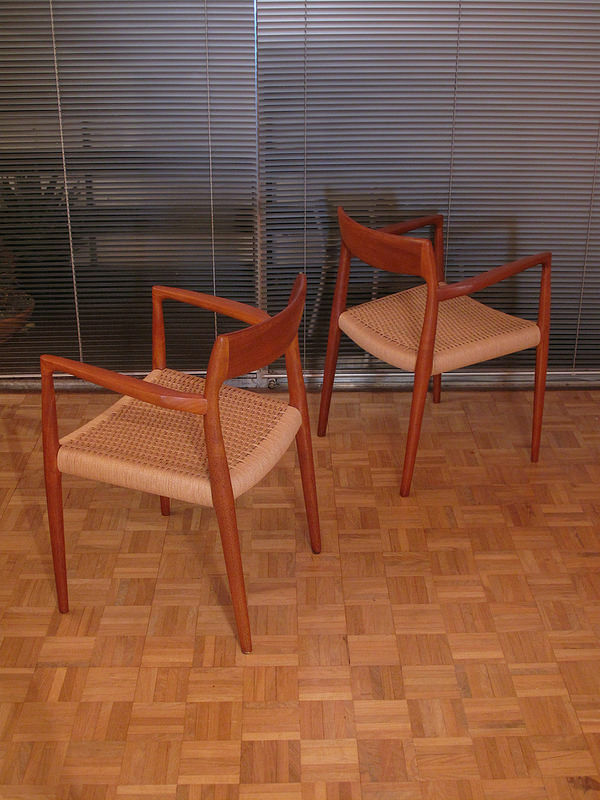 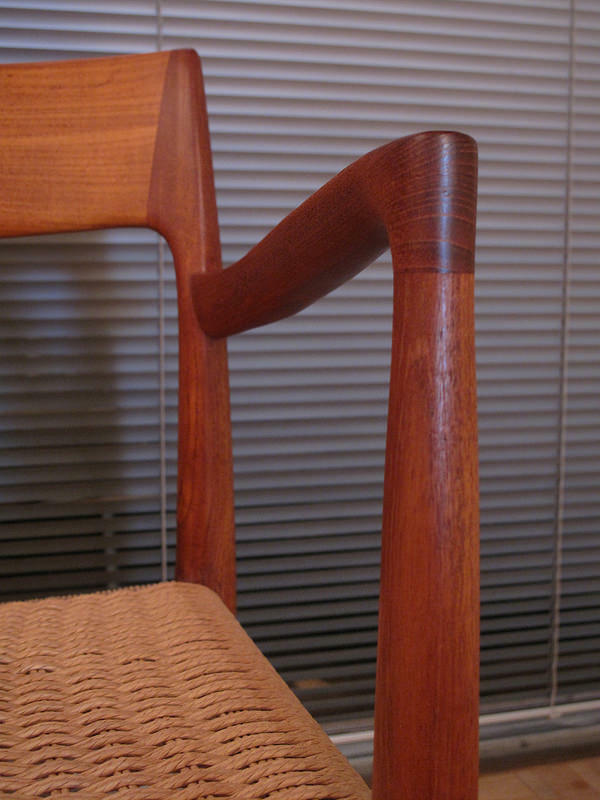 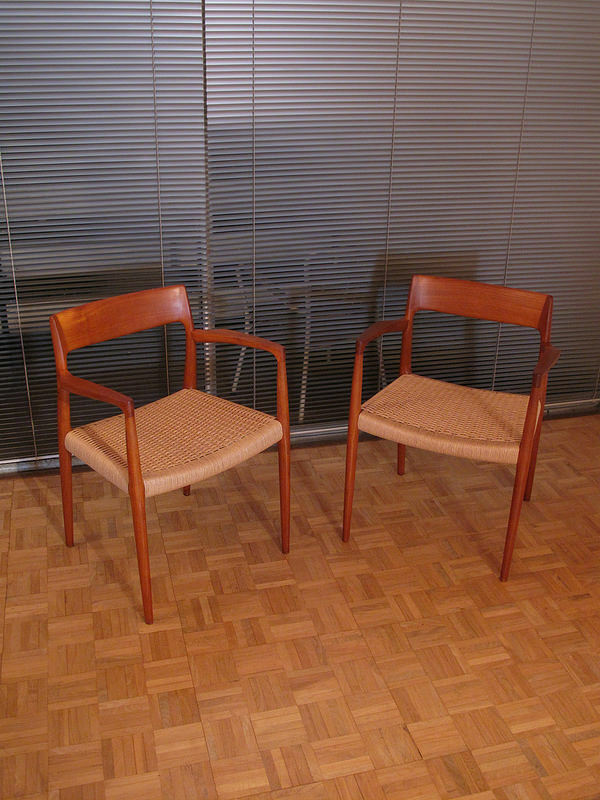 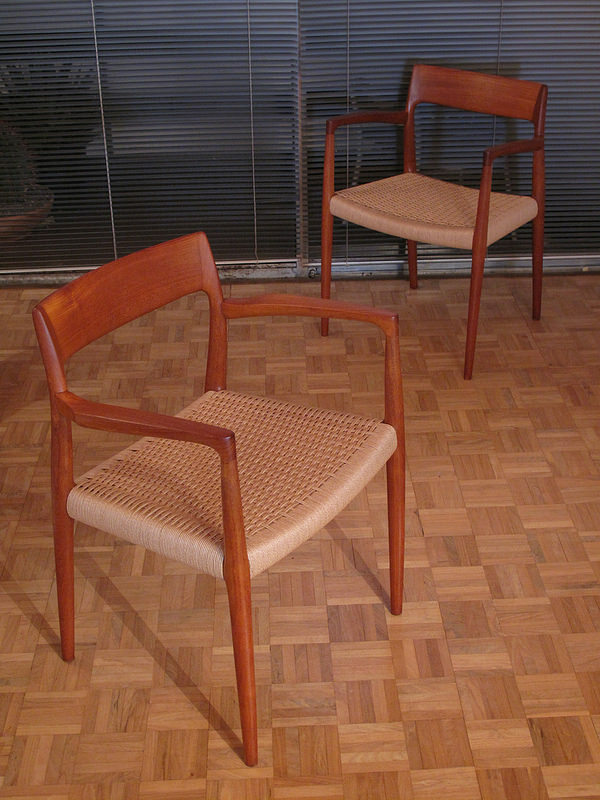 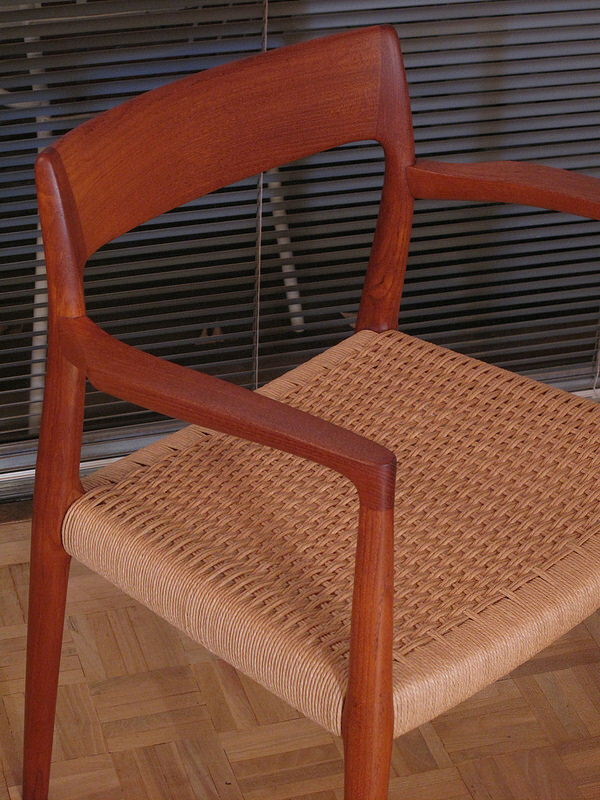 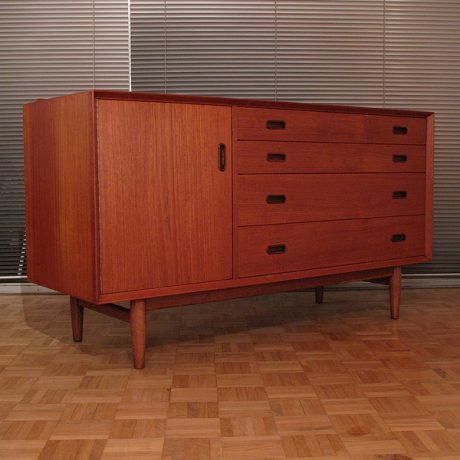 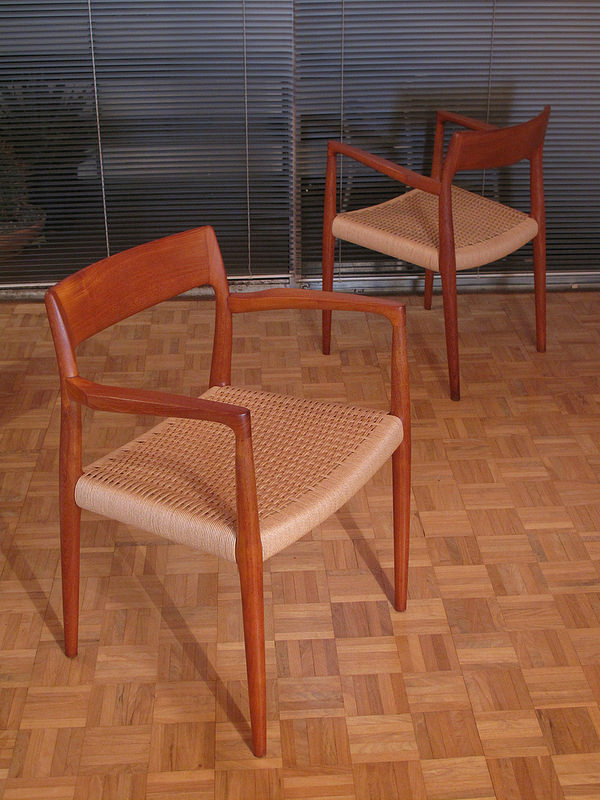 Solid teak and papercord chairs designed by Niels Moller in 1959 for J.L Mollers Mobelfabrik. 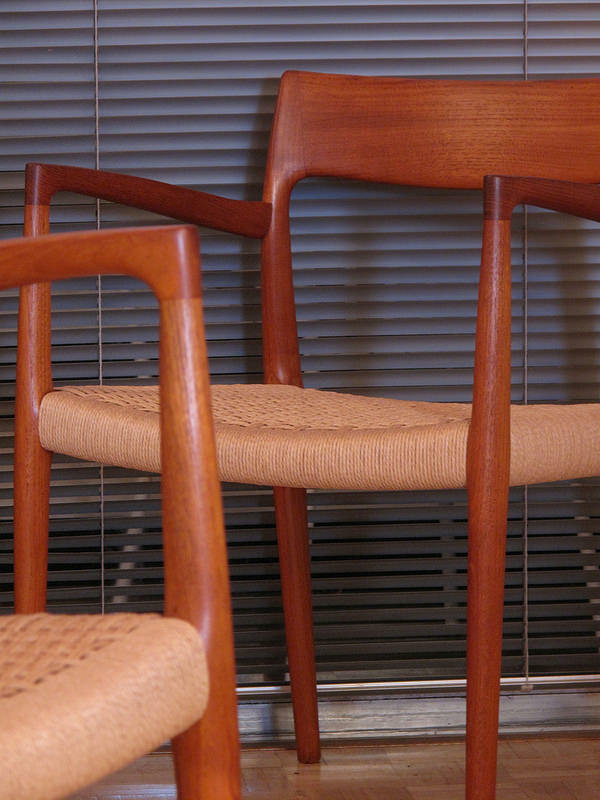 As to be expected with any Moller product these chairs display exquisite build quality and a design that took Moller years to hone. 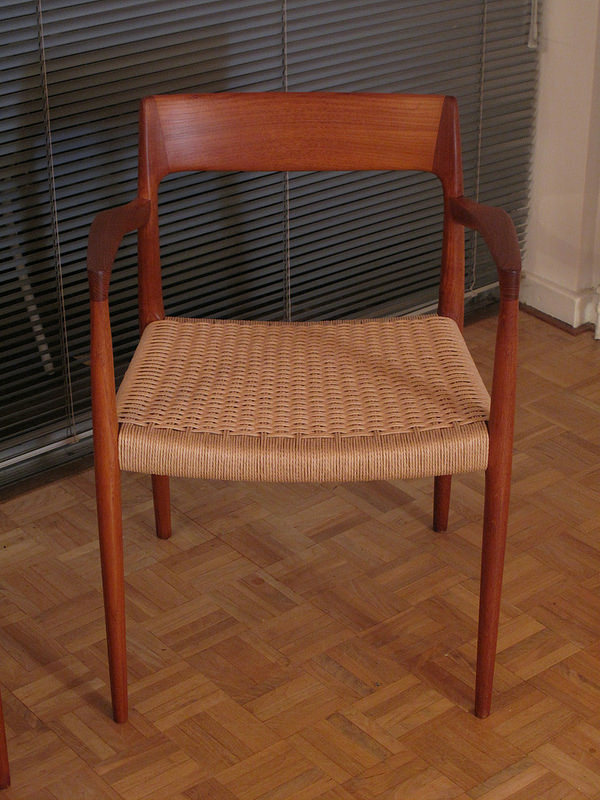 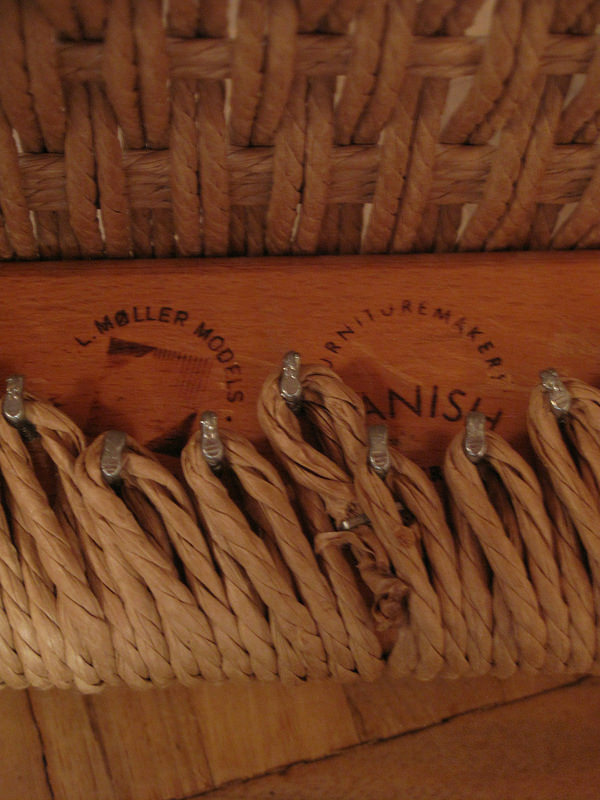 Each chair is offered in excellent condition with a newly woven papercord seat.